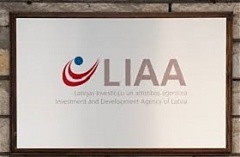 Andris Ozols, director of the Latvian Investment and Development Agency, has denied Economics Minister Ralfs Nemiro’s (KPV LV) claim that the agency was involved in defrauding an EU fund of money, while police are not giving more details about the case, informed LETA/BNS. Latvian fish cannery Karavela has concluded a deal to acquire German fish product maker Larsen Danish Seafood (Larsen), LETA was told at the company. Chinese investment activities in the Baltic Sea region have seen an increase over recent years. This corresponds well with the overall growth in Chinese investment in Europe over the past decade, a trend fueled at least in part by growing restrictions imposed in the United States under the Donald Trump administration. The Riga City Council is planning to shut down all gaming venues in the city, in both the downtown and in neighborhoods, the Riga City Council's Public Relations Department told LETA.